The bright light pollution in the left corner is the Rhine valley. In german it’s called Rheintal and the inhabitants they call it Rhintl. 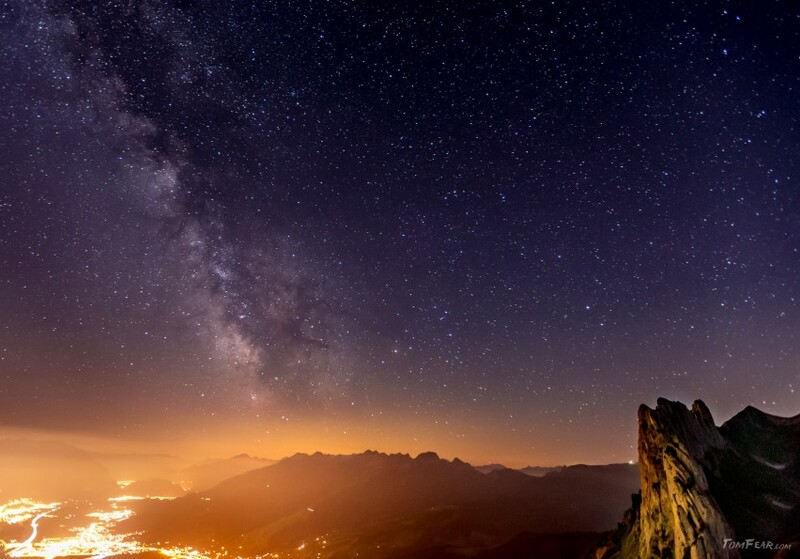 I was here on the Alpstein, the near mountains of Appenzell, in the middle of the night and was looking for some starscape images. On this image you can clearly see how intense the light pollution is, even here on the mountains. On the right corner you can also see the distinctive view of the mountains called Chrüzberg. It was a clear night, not too cold and a few minutes after I took this image the moon was rising up behind me.